Getting a sunburn five times a year increases the chances of skin cancer, and getting on tanning beds may prove to be worse. According to another leading N.Y.C.-based board-certified dermatologist, Dr. Patricia Wexler, “Getting on tanning beds before the age of 35 increases one’s risk of melanoma by 75 percent. Tanning beds deliver pure U.V.A. (long wave) that penetrates deep into the skin’s dermis layer and causes damage on a cellular level without S.P.F.” One should also note, long-term effects of U.V.B. (shortwave, which causes superficial burns) exposure at an early age contribute to premature aging that may not appear until years later. 1. L’Oréal Sublime Bronze ($12; bedbathandbeyond.com)2. St. Tropez Self Tan Purity Bronzing Water Mousse ($42; ulta.com). In case you didn’t know, broad-spectrum refers to U.V.A. blocking, and S.P.F. relates to sunscreen’s U.V.B. blocking abilities only, so both factors must be present in a sunblock. And no, layering S.P.F. 20 and S.P.F. 30 does not equal to S.P.F. 50. 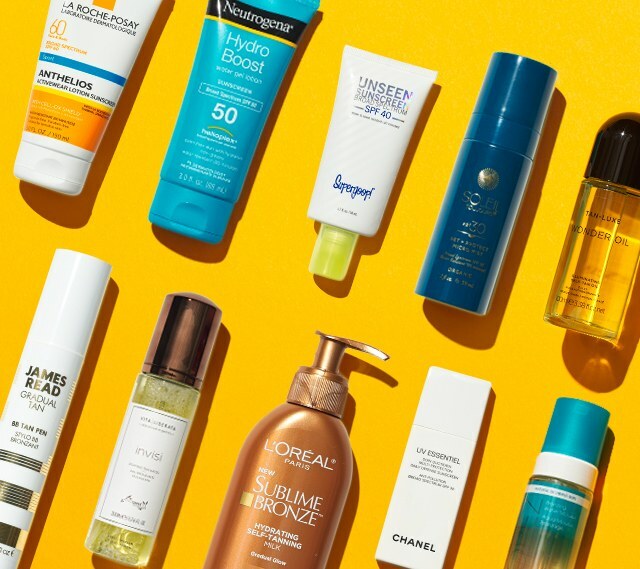 When laying out in the sun, a lotion that’s at least S.P.F. 30 to 50 with zinc oxide with reapplication on the hour is advised by all doctors. “Spray-on” sunblocks maybe are best to use as a touch-up application.